The participants of Wasteland Weekend who bring vehicles truly take pride in their work. Making your ride look as vicious as those seen in Mad Max requires a lot of work. You may be surprised to learn that many of the vehicle-touters can spend years altering their trucks and adding all kinds of gadgets to them for the festival. 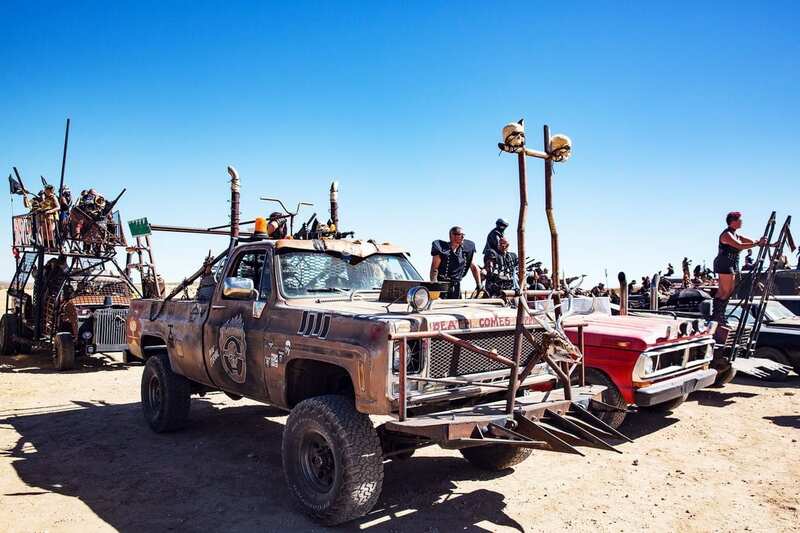 Decked out in spikes, netting, perches and huge exhaust pipes, it doesn’t get more Mad Max than this. Trucks like this which are extra hazardous are called buzzard vehicles. The festival organizers require them to be parked at a safe distance to avoid any unintended slip-ups. Shish kabob, anyone?